Well, after a bit of a fight with winter trying to make a come back in the Twin Cities the past few weeks, the seasonal warmth finally took it's toll. 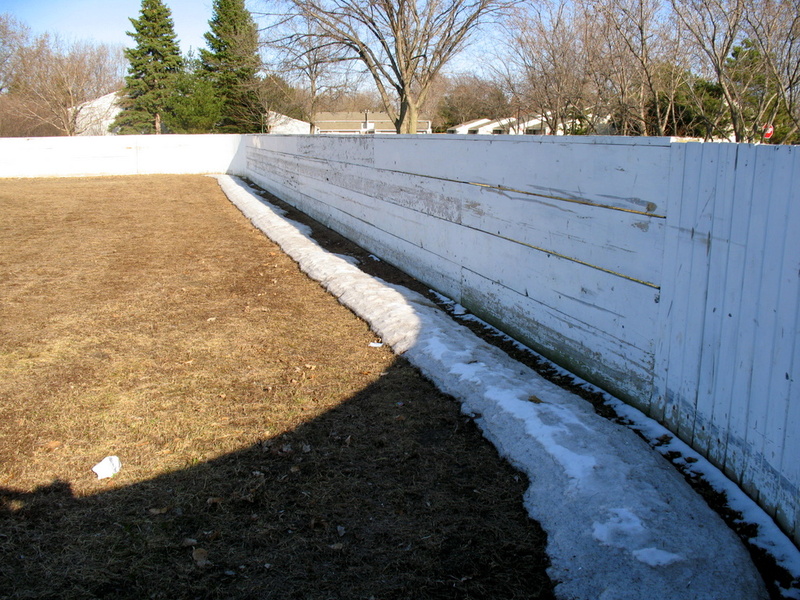 This little patch of snow nestled along the hockey rink boards, the part that receives minimal amount of direct sunlight, was all I could find. How quickly time moves on - after those recent vast snow dumps! Sydney Daily Photo Turns 2 today!